The other day my daughter drove us to town to go grocery shopping. So I decided to take my sketch pad in the car. 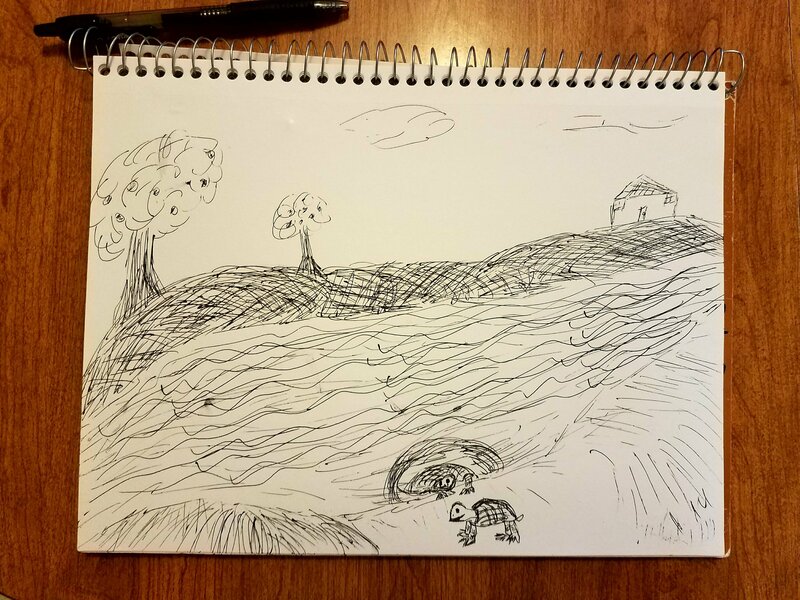 I was trying to draw a turtle coming out of the water to say hello to her boyfriend. Well, here it is. I did it in black ink. Posted on August 31, 2017, in Art Talk and tagged drawing. Bookmark the permalink. 3 Comments.